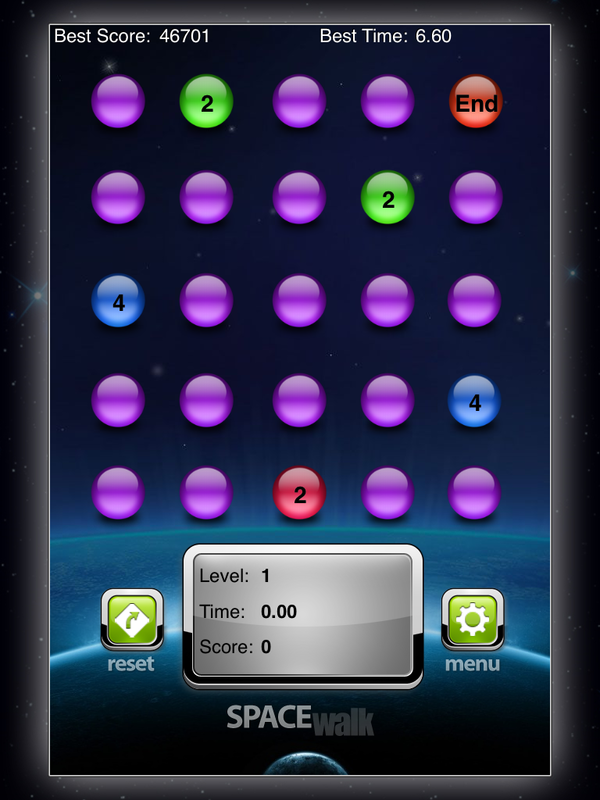 Space Walk is a terrific logic game. The board consists of circles with digits. The digits mean a number of fields that can be passed. 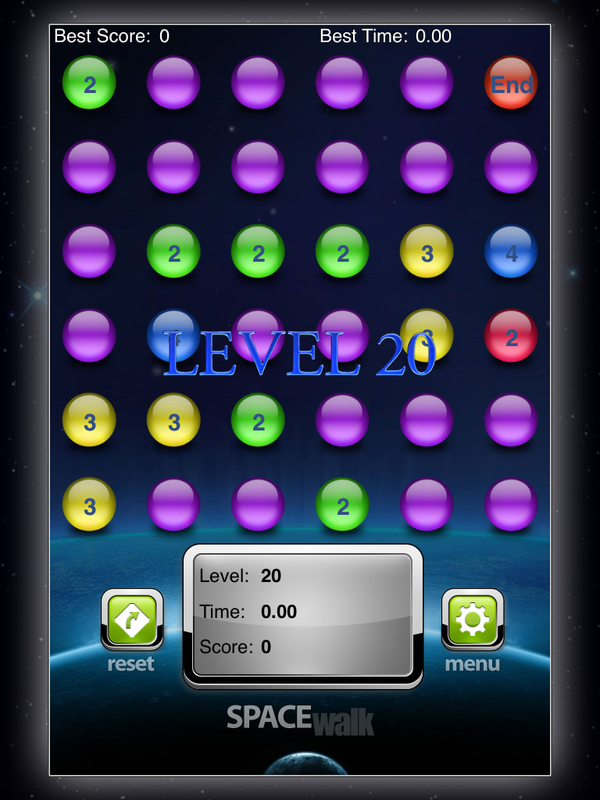 The aim of the game is to create a way to the exit by properly placing circles on the board. Click on a circle to highlight it. In order to spread the contents consistent with the digit it bears, click on the field next to it. You may spread the circles in all directions.